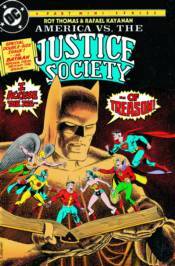 Following the end of World War II, Batman accuses the Justice Society of America of collaborating with the Nazis, which leads to a Congressional investigation that could mean disgrace for the JSA! Collects AMERICA VS. THE JUSTICE SOCIETY #1-4.